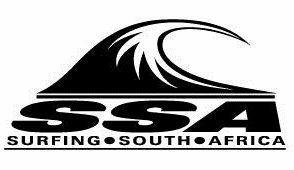 Zoe Steyn (East London) and Luke Slijpen (Hout Bay) maintained their status in the Main Event stream on Day 5 of the VISSLA ISA World Junior Surfing Championship in California on Wednesday. Steyn advanced to the last 12 in the U18 girls division with a convincing win over rivals from New Zealand, Hawaii and Brazil while Slijpen finished runner-up behind Joh Azuchi from Japan, the 2017 ISA U6 boys champion, as the pair relegated opponents from Italy and Belgium to the U18 boys Repecharge rounds and moved into the last 16 in the Main Event stream themselves. In other Main Event Round 3 action, Mitch du Preez (East London) in theU16 boys and Kayla Nogueira (uMhlanga) in the U16 girls placed third and fourth in their respective heats and will continue their paths towards the business end of the nine-day event through the cutthroat 15-minute Repecharge rounds. Tayla de Coning (East London) was runner-up and Gabi Lailvaux (Westbrook) won her heat as the pair progressed to Round 3 of the U18 girls Repecharge stream, and Zoe Steyn and Ceara Knight (Scarborough) both won their U16 girls Repecharge Round 2 heats to remain in contention for higher honours. South Africa lost a second team member from the event when Bryce du Preez (East London) was overtaken for the runner-up spot in his U18 boys Repecharge Round 3 heat by Dor Bitton (ISR) and was eliminated in equal 49th place in the division. Du Preez’s haul of 240 points saw the South African team move up one position to 10th spot among the 44 nations in the provisional team rankings. The hosts USA, along with Japan, Australia, France and Brazil have yet to have a team member eliminated and are provisionally ranked in equal first place after five days of competition. They are followed by Hawaii, Portugal, Spain and Argentina, all of whom have lost one competitor while Germany, Peru, New Zealand and Tahiti fill out the top 14 on the rankings with each having three members sidelined. Thursday’s schedule includes Main Event Round 4 for all four divisions on the main podium, where the action is webcast live, and will feature South Africans Luke Slijpen (U18 boys, Heat 4) and Zoe Steyn (U18 girls, Heat 2). The second podium will run Repecharge stream heats. The waves are forecast to decrease in size throughout the day, with the customary light offshore winds in the morning, trending onshore during the afternoon. Action on Podium 1 at the VISSLA ISA World Junior Championship can be followed live on www.isasurf.org starting at approximately 4.30 pm South African time daily.